Denver Public Schools’ (DPS) Emily Griffith Campus is constantly brimming with activity. It gets anywhere from 500 to 800 visitors per day. In fact, the only building in Colorado that gets more visitors is the capitol building! The campus is the DPS administration headquarters and also houses three schools, so security is a major priority. However, before they had a visitor management system in place, visitors would often arrive not knowing where they were supposed to go and end up wandering around unescorted. And with an office of 3,500 people, it could take a long time for a visitor to find their host. In 2016, Jason Klika, a training Sergeant for the DPS department of safety, was called upon to fill in at the front desk. He quickly realized the need for a better solution to manage the high volume of visitors and maintain building security. “We needed something that would tell visitors where to go or notify someone that they were here,” he said. Because of the visitor volume and the number of kiosks DPS needed (4), the other systems would have cost an additional $10,000 to $45,000 per year. The result? DPS also uses The Receptionist for iPad to make it easier for new staff to get IDs. The district hires as many as 10,000 people every year, which means the person whose job it is to take fingerprints and make IDs has a heavy workload, especially at the beginning of the school year. Even though The Receptionist has only been at work at DPS for a couple of months, Klika is thrilled with the results. “I would recommend it to anybody at almost any level because the cost has been so effective,” he says. Are you ready to find out how The Receptionist for iPad can help with your visitor management? Start here with your free trial today. 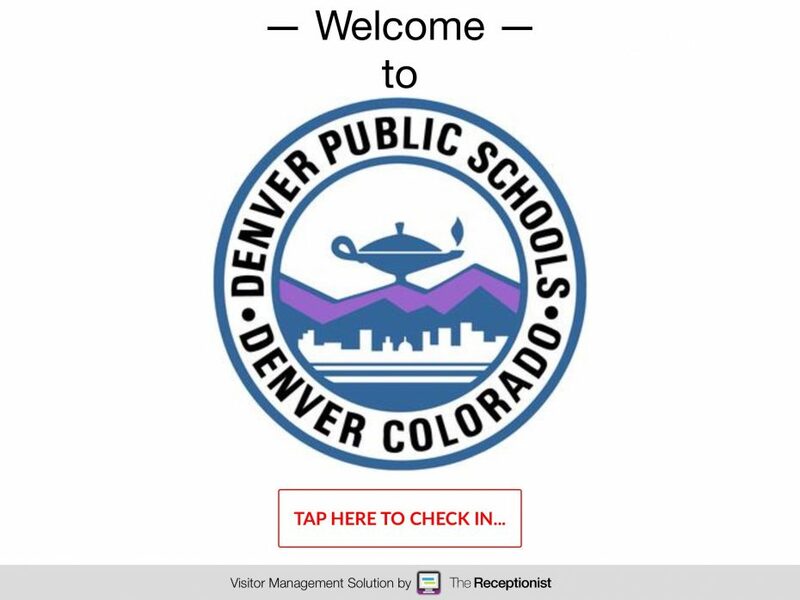 Denver Public Schools is committed to meeting the educational needs of every student with great schools in every neighborhood. Its goal is to provide every child in Denver with a joyful, rigorous and personalized learning experience from preschool through high school graduation. DPS is comprised of more than 200 schools, including traditional, innovation, magnet, charter and pathways schools, with a current total enrollment of more than 91,000 students. The mission of the Denver Public Schools is to provide all students the opportunity to achieve the knowledge and skills necessary to become contributing citizens in our diverse society.